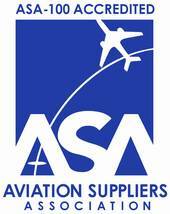 Providing a tradition of service,unconditional support, and everlasting integrity in the aviation industry. TSI Aviation, Inc. specializes in Asset Management, Parts Supply, Exchange/Loan/ and Leases of aircraft parts and engines. TSI has been servicing both commercial and government organizations for over 40 years, maintaining the highest level of quality and service while providing cost effective and timely solutions. Find out about our organization, mission, our methods, and the results of our decades of expertise. aviation repair management, parts supply, and exchange. Servicing Government and commercial organizations.